Walking around Thimpu City, the capital of Bhutan, we noticed a number of guesthouses and hotels of different grades. 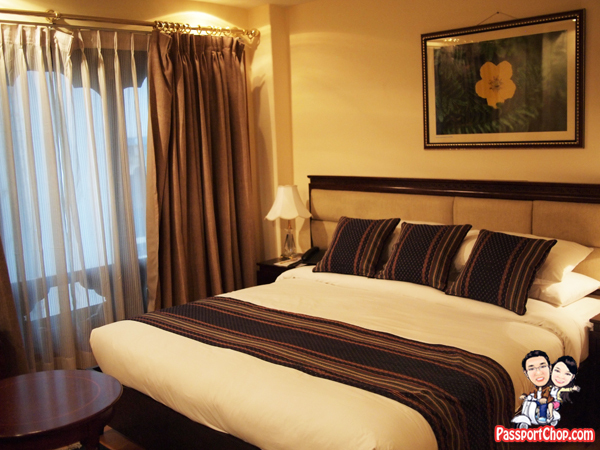 If you are here on a tourist visa, paying the fixed tariff of 200 USD per day, you will most likely be booked into one of the comfortable midrange hotels in town. 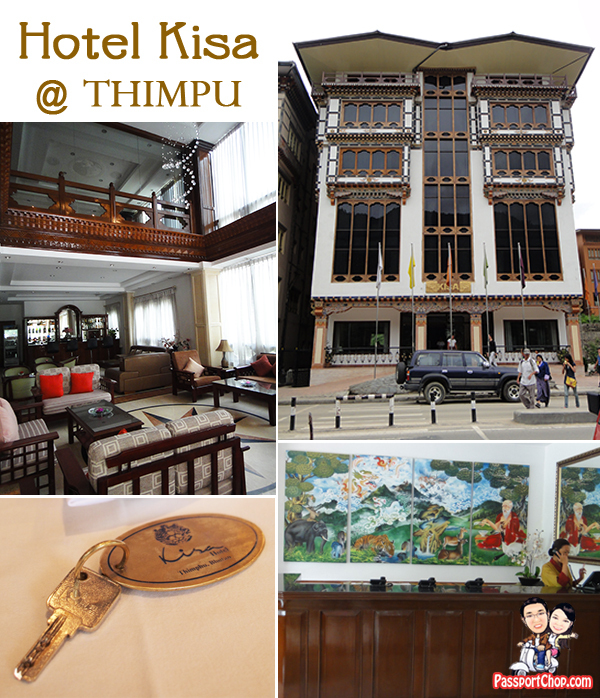 We stayed at Hotel Kisa – one of the newer designer boutique hotels in Thimpu. Kisa means “where peace prevails”. It is quite centrally located with lots of shops around it where you can buy snacks from mini-convenience stores (which we call mamashop in Singapore) as well as Bhutanese souvenirs. It is just a short 6-minute walk to Thimpu’s landmark – the Clock Tower. The external architecture follows the traditional elements of Bhutanese building design whereas internally, the lobby and restaurants are designed with a stylish modern look. Each floor is served by a small elevator (can squeeze in about 2 people with bulky luggages). Hotel Kisa has 35 rooms – each with a contemporary hotel room design. There is a LCD TV available in each room with cable access to many channels including HBO, AXN and MTV. There is also in-room WiFi but it can be quite slow during evening time when most tourists are back in their room surfing the net. The best time to use the WiFi is in the mornings. According to me Hotel Kisa is the best Hotel in the world. Because the service of this Hotel is so good and fast.I really like this Hotel and I wish that I am also stay in this Hotel in future for some days. Thanks a lot for providing the information related to hotel. because I love traveling and different kinds of hotels.